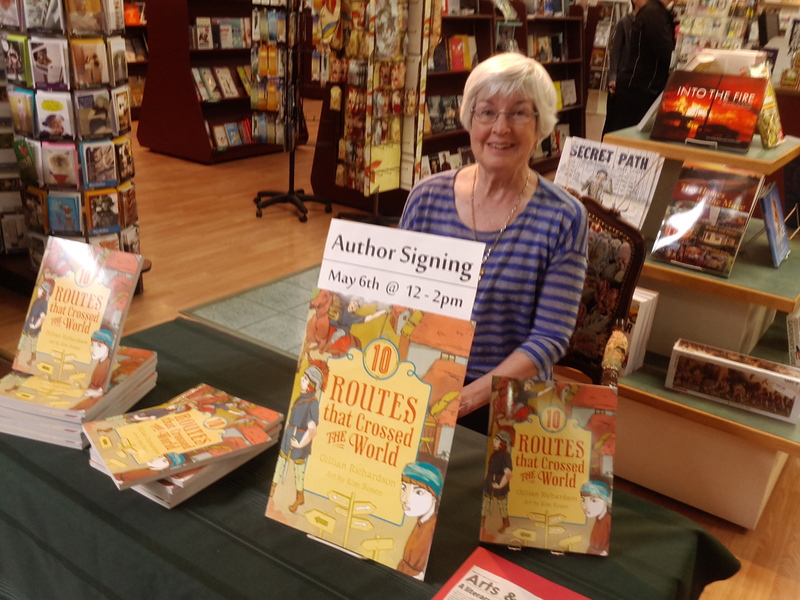 10 Routes that Crossed the World is in the bookstores! This past Saturday, I welcomed friends and book lovers to Bookingham Palace Bookstore in the Mall at Piccadilly, in Salmon Arm. Thanks to those who stopped by—including Sarah, Mary, Vern and Barb, Diane, Josephine, Barb, Lana and Sienna, and my ‘official’ photographer, Judith. Hope you all enjoy reading about the history of those worldwide trails. One of my best memories of my dad concerns our mutual love of maps. For him, it must have begun prior to 1928 when he signed up for a 4-year term as Apprentice with The Pacific Steam Navigation Company in Liverpool, England. This began his career as a mariner that would last into the 1950s, through steady promotions to Master and numerous global voyages. 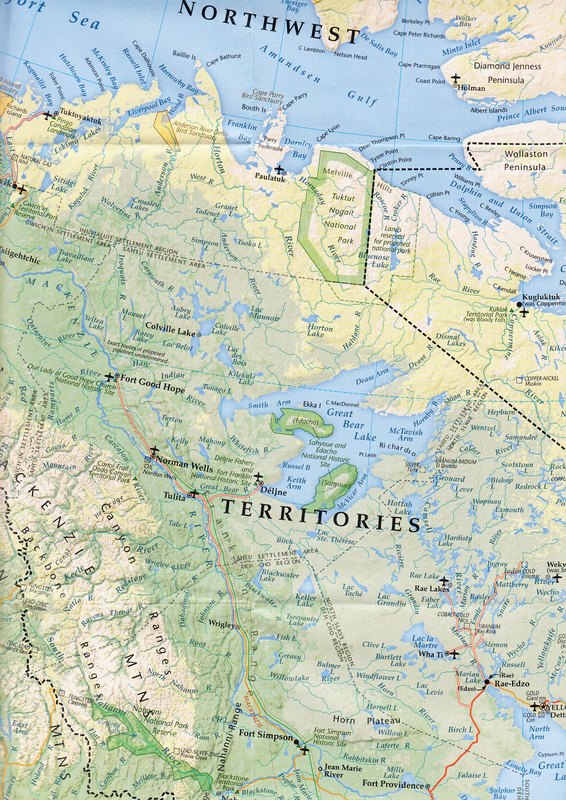 For me, in 4th or 5th grade, it began as we studied the fold-up maps that came with a subscription to National Geographic Magazine. We eagerly pored over each new arrival, and in particular those of countries which my dad had visited during his years at sea. 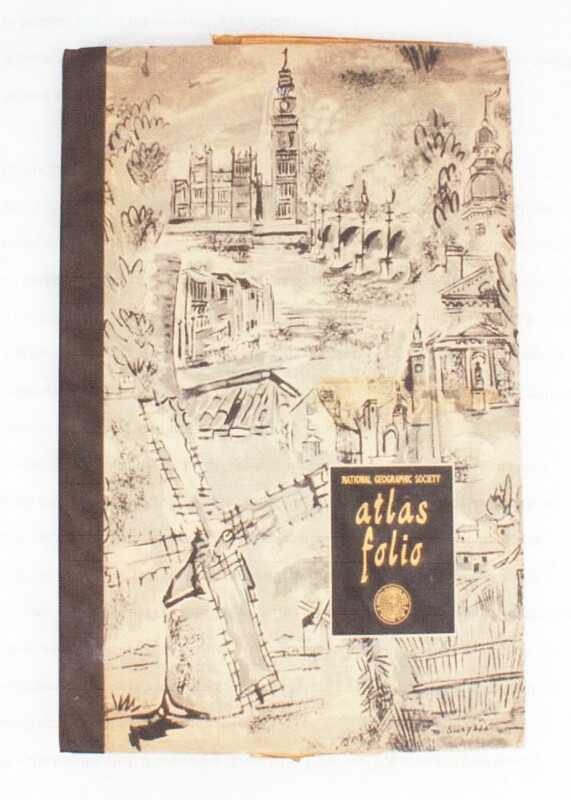 Then, in 1958, an Atlas Folio became available to store those maps. Once each one was inserted in the appropriate place, one would have a complete world atlas of colorful maps. That atlas represents many happy evenings of entertainment for me as a child, a life-long interest in geography, and especially for maps as an intriguing way to know the world. Not necessarily a treasure now in terms of monetary value, that atlas remains a prized possession for my family. To this day, a paper map has a special feel for me, impossible to replace with the GPS directions favored by so many travelers. As a visual learner, I need the big picture to get the whole perspective. I like to know where I am, where I’ve been, as well as where I’m going and how I’ll get there. 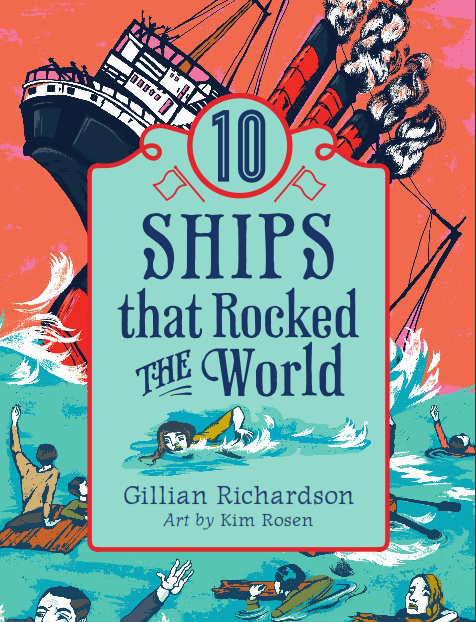 During the research for a couple of recent non-fiction books, 10 Ships That Rocked the World, and 10 Routes That Crossed the World, I found myself poring over maps once again. My appreciation for the skills I learned in those early years continues to grow. I put them to work again as I traced the historical voyages of the ships, and examined the routes laid down by people embroiled in events that shaped the history of various countries and cultures. That old atlas opened a door to unlimited learning. I think my dad would have been proud of how I’ve used the knowledge. People have always blazed trails across the land. 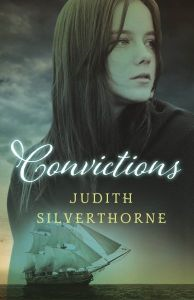 They’ve followed them in search of power, riches, adventure, or simply a better life. 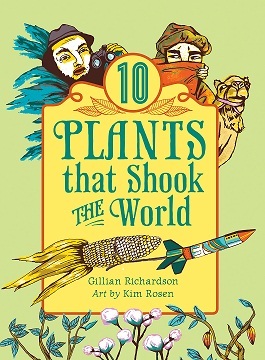 In this fourth book in the World of Tens series, you’ll read about ten routes that cross countries and continents, and span time from 20,000 years ago all the way to the 20th century: the Bering Land Bridge, Roman roads in Britain, Camino de Santiago, Inca Trail, Khyber Pass, Trans-Siberian Railroad, Chilkoot Trail, Serengeti Migration Trail, Route 66 and Ho Chi Minh Trail. As I wrote this book, I found it fascinating to learn the history of these trails, and discover the people and events that made them memorable. The research enabled me to relive people’s experiences from long ago, try to imagine what they saw, and trace the effects of their decisions and actions. Their footprints left the stories for the curious to discover. 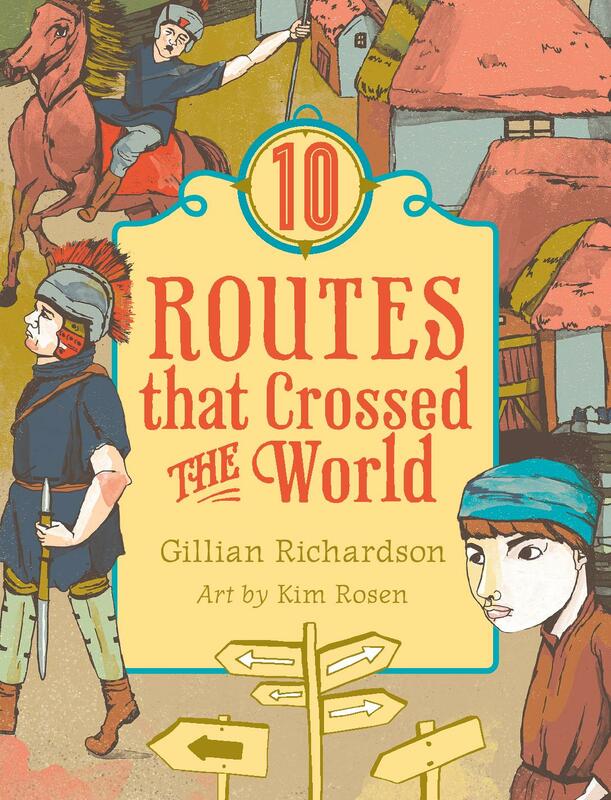 You’ll soon be able to read them in 10 Routes That Crossed the World, to be released in April.